A Jerusalem court on Sunday ordered the temporary closure of a building at the center of rising tensions on the city’s Temple Mount in recent weeks. The Jerusalem Magistrate’s Court said the building known as the Gate of Mercy or Golden Gate on the Temple Mount should be closed while legal proceedings continue. “East Jerusalem, which includes the Al-Aqsa Mosqua, is part of the Palestinian lands occupied since 1967. The area is not subject to Israeli law,” Amman said in a statement. The foreign ministry called on Israel to cancel the court’s decision and not harm the status quo at the flashpoint site. 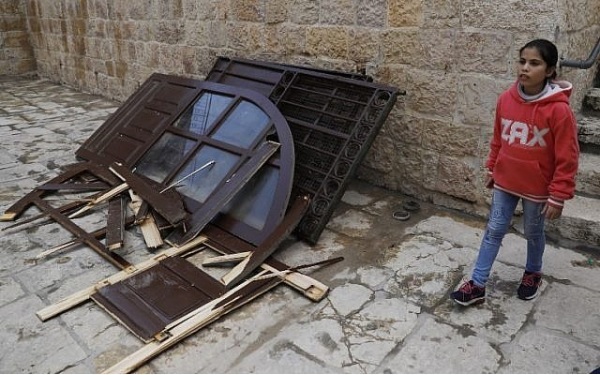 The court order came two days after Palestinian worshipers ripped the doors off the building shortly after Friday prayers, despite instructions from the Waqf urging calm.